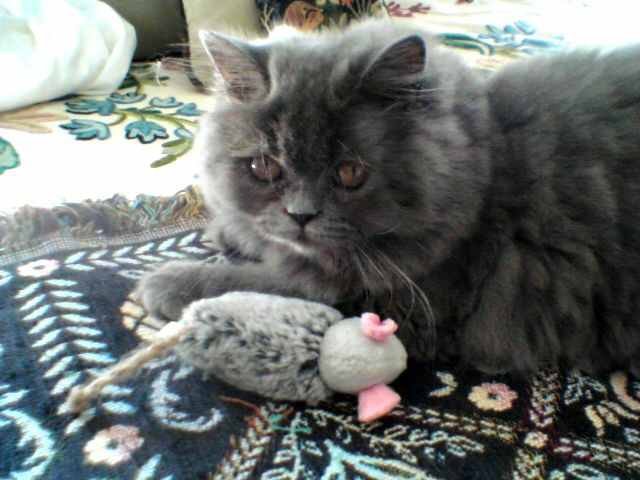 We don't know who to feel sorrier for - you or the mousie! MOL MOL MOL!!! Yeah, it kinda does. Maybe she wuz inspired by da Catfather. Aw, she looks sad to us but glad all is well except for mousie. 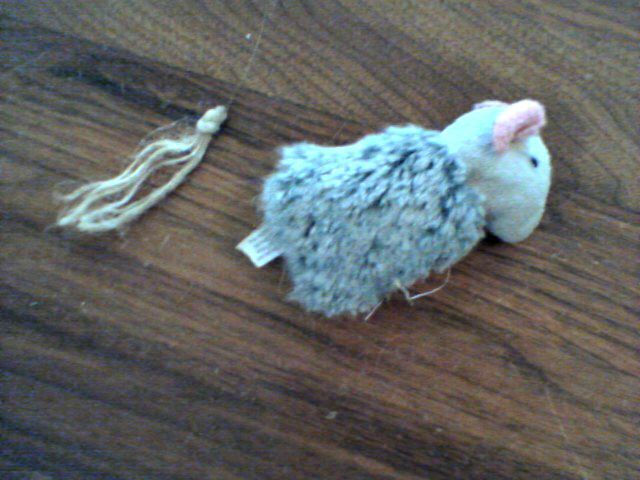 Oh we guess the mousie paid a bit of a price for the Vet visit but we are glad she is okay. It looks as though the mouse got blamed for the vet visit! Consider yourself warned! We hope your neighbor's kitty feels better soon! Oh wow! That is definite mafia stuff. Be careful when you are cat sitting. This kitty means business! At least it wasn't the head.... I'm glad you're getting some kitty energy, Melissa. Aw, she is such a sweet looking cat. That said, it does look like a bit of a mafia warning as you walked in. So glad you are enjoying time spent with this cute kitty! It does look like a mafia warning..lol. At first I wasn't sure..
Oh she's too innocent looking! What a beautiful girl! She is sweet, but means business! A kitty after my own heart! Wes sended yous a email with a drawing last night, please let us know if you got it. That is a cute kitty. That mouse sure does resemble the horse head in The Godfather. Those humans best be careful of they will be sleeping with the fishes. We so admire your positive attitude, Melissa. Acknowledging the hidden blessings in so many things. Could be - so you'd better give out a few extra treats for a while. Aw, what a cutie! Wow, I hope that's a warning to mice, not humans! It's funny how things work out..now you can be there for your neighbor with no worries..she and her mafioso kitty are lucky to have you! She is a really cute kitty! I can totally see the meowfia moment there. It does seem like there could have been some pent up frustration released on that poor mousie. MOL Guess she told y'all. MOL Have a gweat day. whoa! Sounds awfully sinister. I like it.